Work in the creative and flexible environment of the German start-up scene. At Meshcloud, you will make a difference and change tomorrow’s IT infrastructure. We are a young, motivated team that wants to shape the future of IT infrastructure with our new solutions and creative ideas. Work with the latest technologies, learn from our talented team and foster your individual development. Meshcloud’s flat hierarchies enable you to take on early responsibility and actively drive enterprise growth. In our nice office in Frankfurt, you will be working in an efficient environment characterised by flexibility as well as short decision making processes. You are a quick learner and eager for knowledge? You are strongly interested in the latest technologies and in favor of open-source solutions? Would you like to participate in the further development of the Meshcloud platform? You can expect tasks in the area of frontend and backend development. We work with Angular, TypeScript, Kotlin and Spring Boot. If you have Java knowledge, you will quickly get along with Kotlin and realize its efficiency. Send us your application including project references (Github) and your Stackoverflow profile to jobs[at]meshcloud.io. Are you fascinated by the automation of infrastructure? As a working student in DevOps you build automation with tools like Docker, Kubernetes and Terraform. You should already have some experience with cloud technologies, Bash or Python and Linux. We look forward to receiving your application at jobs[at]meshcloud.io. 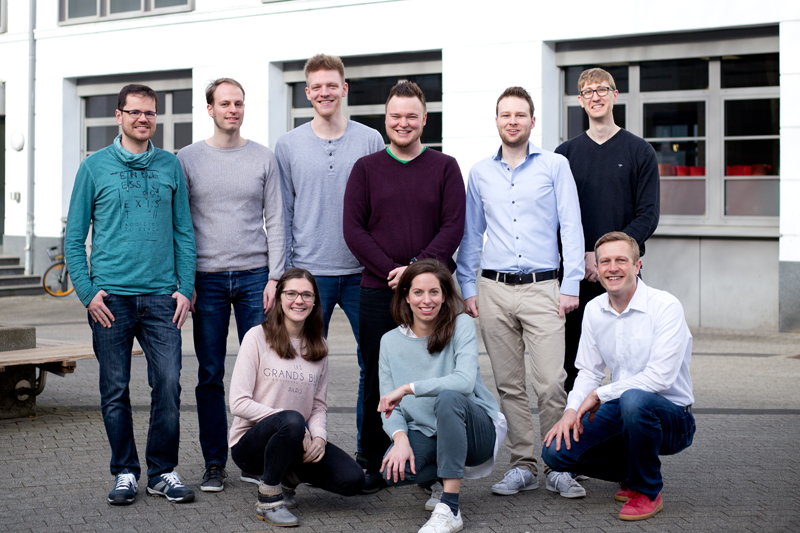 We are looking for a junior software developer to join our team located in Frankfurt, Germany. The backend of our federation technology is responsible for maintaining user identity and authorization as well as management of projects, resources and billing over different cloud locations and platforms. You will play a key-role in the further development of our technology and be guided by our experienced team of engineers. We are looking for a junior software developer to join our team located in Frankfurt, Germany. You will be working on Meshpanel, which is the primary user interface our customers use to create and manage cloud computing resources. You will play a key-role in the further development of Meshpanel and be guided by our experienced team of engineers. We are looking for an experienced software developer to join our team located in Frankfurt, Germany. The backend of our federation technology is responsible for maintaining user identity and authorization as well as management of projects, resources and billing over different cloud locations and platforms. You will play a key-role in the further development of our backend and be responsible for high-impact technology and architecture decisions. We are looking for a polyglot all round-engineer to join our team located in Frankfurt, Germany. You will be working on the integration of a variety of open-source cloud computing tools with Meshcloud’s core technology and platform.